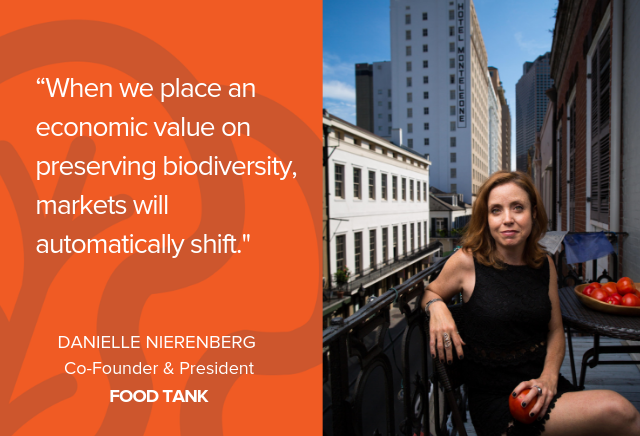 Below, I speak with Danielle Nierenberg, co-founder and President of Food Tank, who has been telling the stories and supporting the work of the people who are preserving biodiversity for years. Nierenberg emphasizes how companies of all sizes should partner with farmers to increase diversity in the field, using true cost accounting methodologies like The Economics of Ecosystems and Biodiversity for Agriculture and Food (TEEBAgriFood) to measure biodiversity. She also highlights many great organizations working to protect and promote indigenous and traditional crops, as well as resources for learning about biodiversity. 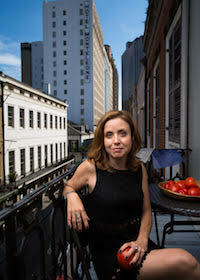 Danielle Gould: How does Food Tank define and think about biodiversity? Danielle Nierenberg: Agricultural biodiversity has always been a part of Food Tank’s work. We had the opportunity to meet with so many great organizations over the years — including the World Vegetable Center, Crop Trust, the International Center for Research in the Semi-Arid Tropics (ICRISAT), Slow Food International, and many others — and have been highlighting the amazing work they’re doing to protect and promote indigenous and traditional crops. Biodiversity means cultivating food systems that are agriculturally, culturally and environmentally diverse and that support knowledge systems that have been built by farmers and nutritional gatekeepers over generations. We also highlight organizations that are working to restore health and nutrients because well-managed soils both benefit from and can support more diverse cropping systems. DG: What is Food Tank doing or planning to do to promote biodiversity? DN: We’re honored to continue highlighting the work going on all over the world. Most recently, we’ve been working with ICRISAT’s SMART Food project to highlight the role of millets and sorghums in people’s diets, particularly in sub-Saharan Africa. Over the years, we have published many articles to highlight biodiversity and indigenous crops, including here, here and here. DN: An ideal biodiverse food system is one that is resilient and sustainable. One way to measure biodiversity is through True Cost Accounting, which takes into account all the side effects, or externalities, of food production. The Economics of Ecosystems and Biodiversity for Agriculture and Food (TEEBAgriFood) is developing a framework that looks at food production, from farm to fork to disposal, to account for effects on livelihoods, the environment (including biodiversity) and health. This can help farmers, decision makers and businesses more explicitly look at the impacts of different practices and policies on biodiversity. 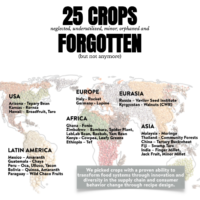 A majority of Earth’s crop genetic resources are already extinct and up to 100,000 crop varieties are currently endangered worldwide. Each of these varieties has been carefully bred over centuries by farmers and seed breeders to be locally-adapted, pest- and drought-resistant, nutritionally-dense and storable in their local climates. Unfortunately, most investments in agriculture from research institutions and the funding and donor communities are for commodity crops such as wheat, rice and maize rather than for more nutritious foods or indigenous and forgotten crops. DN: A lack of diversity limits the options available to eaters, resulting in the erosion of traditional diets and cuisines, which are often much healthier than modern diets. As diets continue to homogenize globally, increasingly displacing fresh vegetables, grains and meats with fast foods and processed “junk” foods, health problems associated with obesity and micronutrient deficiencies are increasing. 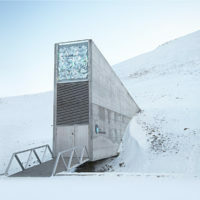 DN: Biodiversity increases resilience. It makes it harder for pests to wipe out an entire crop and increases the chances that the food system will be able to respond to climate change, which is good for business. When you have dozens of varieties of crops, you have a wealth of genetic diversity that scientists can use to breed improved plants, as I discuss on my podcast, Food Talk with Dani Nierenberg, with Howard–Yana Shapiro, Chief Agricultural Officer of Mars, Incorporated. DN: Companies both small and large have a real opportunity to partner with farmers of all sizes to increase diversity in fields. Annie’s Homegrown is investing in whole grains and regenerative agriculture practices. General Mills is working with farmers to grow diverse crops that can also be cash crops. And Dr. Bronner’s is encouraging farmers all over the globe to grow organic ingredients for their natural care products. Bigger companies should be looking closely at how these partnerships can benefit not only farmers, but their companies’ bottom lines. DN: As discussed in our recent book Nourished Planet, True Cost Accounting is a great step in the right direction. When we place an economic value on preserving biodiversity, markets will automatically shift. Agronomist Sieg Snapp at Michigan State University calls for a Rainbow Revolution, particularly in sub-Saharan Africa, where people depend on staples like maize to survive. In our book, Nourished Planet, Snapp and others argue for the need for diversity in what and how we grow crops. Mixed crop livestock systems can help keep soils healthy and encourage farmers to grow a variety of crops, rather than just one or two per year. Growing more diverse crops can naturally contribute to resilience to pests and disease, high temperatures, drought, and other impacts of climate change — indigenous or Forgotten Foods and grains like millets and sorghum will become the foods of the future as the impacts of climate change become more and more evident. DG: How might we get eaters to care about biodiversity? DN: Eaters need to know how their food choices impact biodiversity so they can make informed decisions. We try to share that information through stories of hope and innovation at Food Tank. Another option is for governments to tax companies that degrade biodiversity and reward companies that preserve and grow biodiversity. This can trickle down to the consumer, who will see first hand the economic benefit of protecting biodiversity because those products will cost less. DN: We released a book this year with the Barilla Center for Food & Nutrition called Nourished Planet: Sustainability in the Global Food System that offers a hopeful but practical global plan for feeding the world sustainably. In it, a diverse group of internationally renowned experts provides concrete solutions to challenges within the food system, including protecting biodiversity. 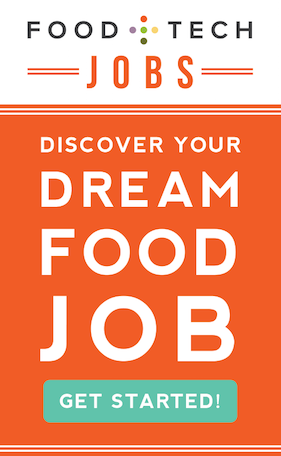 We also have a lot of information on Food Tank. Lastly, I’d recommend looking at TEEBAgriFood, World Vegetable Center, Crop Trust, ICRISAT, Slow Food International and many more. DN: We would see a greater variety of produce, including more nutritious and flavorful options. For instance, Row 7’s 898 squash, bred for flavor, and nutrient-rich, drought-resistant millet and sorghum. DN: Stay tuned for more article and podcasts on Food Talk with Dani Nierenberg about indigenous and traditional foods and our work with the Crop Trust Food Forever project and Rediscovered Foods. Danielle Nierenberg, a world-renowned researcher, speaker, and advocate, on all issues relating to our food system and agriculture. In 2013, Danielle Nierenberg co-founded Food Tank with Bernard Pollack, a 501(c)(3) nonprofit organization focused on building a global community for safe, healthy, nourished eaters. Food Tank is a global convener, research organization, and non-biased creator of original research impacting the food system. 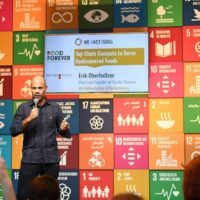 Food Tank’s Summits, held across the United States and expanding internationally, have hosted hundreds of speakers and sold-out audiences of thousands of participants, with hundreds of thousands joining via livestream reaching millions across social media. The Summits are one of the most important forums bringing together all sides of food issues for critical discussion partnered with major universities and moderated by major food journalists including the Wall Street Journal, the New York Times, the Washington Post, CNN, National Public Radio, and dozens more. Danielle’s knowledge of global agriculture issues has been cited widely in more than 20,000 major print and broadcast outlets worldwide, including The New York Times, The Wall Street Journal, USA Today, the International Herald Tribune, The Washington Post, BBC, MSNBC, Fox News, CNN, CBS This Morning, The Guardian (UK), The Telegraph (UK), Le Monde (France), the Mail and Guardian (South Africa), the East African (Kenya), TIME magazine, the Associated Press, Reuters, Agence France Presse, Voice of America, the Times of India, the Sydney Morning Herald, and hundreds more. Danielle speaks at more than 100 events per year, including major conferences and events all over the world. These events include SXSW, TED, The World Food Prize/Borlaug Dialogues, American College of Lifestyle Medicine Conference, James Beard Foundation Leadership Awards, Barilla Center for Food & Nutrition’s International Forum on Food and Nutrition, Edible Institute, Milan Urban Food Pact Awards, Aspen Institute Environment Forum, the European Commission, the Chicago Council Global Food Security Symposium, National Geographic’s Food Forum, the Sustainable Food Summit, the Hilton Humanitarian Awards, the Bill & Melinda Gates Foundation, the Global Forum and Expo on Family Farming, New York Times Food for Tomorrow, BITE, and many others. She has built a worldwide social media and web following of more than 1,200,000 including 350,000 weekly newsletter subscribers from 190 countries; 360,000 combined Facebook fans; and 600,000 combined Twitter followers, and 31,000 on Instagram.